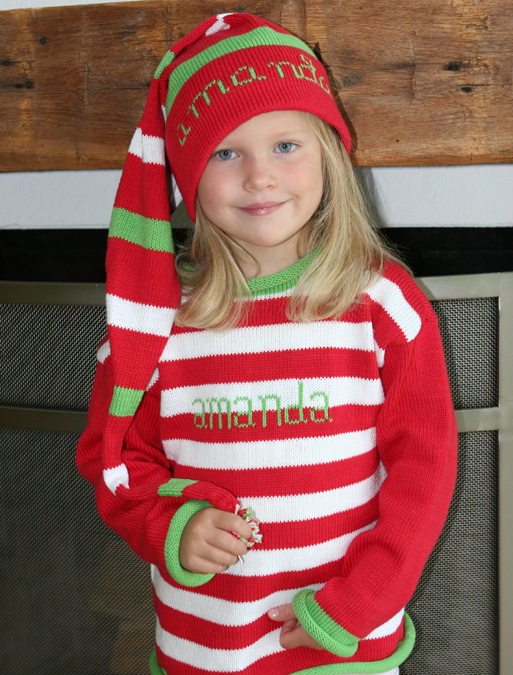 This personalized Christmas Sweater is a must have this holiday season. Ideal for siblings in holiday photos and fun to wear throughout the month of December. Shown here in classic red and white stripe and bright lime green name. (Can be ordered in different colors variations as well). Made from soft 100% cotton. Excellent quality and workmanship.